I don’t think y’all heard me! Ha! I have trouble saying Happy Valentine’s Day out loud without singing it like Andre 3000 in my head. Anyway, I do wish you a Happy Day! 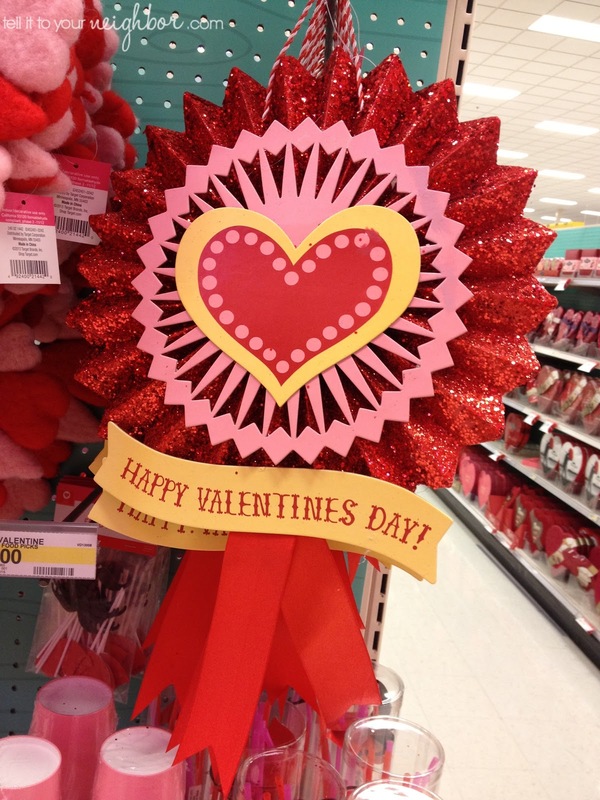 Tomorrow I’m heading to Target and hoping to find this cute Valentine’s Day sign on clearance. I think my cousin, Kellison, might like it for her classroom. Don’t you think a teacher would love it?! The regular price is $5 and yesterday there were plenty available at my Super Target, tell it to your neighbor! Also, here’s an update on our Classroom Valentines. I love them, thank you MamaMoonlights on Etsy!